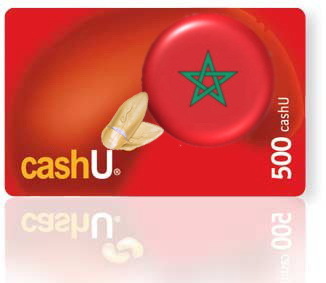 CashU the Middle East’s leading prepaid Internet payment service and member of Jabbar group, umbrella group of companies like Souq.com and Sukar.com has announced yesterday that it’s expanding the service to support the Moroccan market via a network of direct resellers. This news will definitely encourage Moroccan online resellers to become more active, that with their target audience gaining a new means of online payment so desperately needed in a country with no widespread credit card availability or even money transfer services which are highly complicated compared to other Northern African Arab countries such as Egypt or Tunisia. Jabbar is aggressively expanding throughout the region efficiently spreading their network of portals such as Sukar.com’s recent expansion throughout the GCC region, and Souq.com’s recent expansion into Egypt. Morocco the mostly overlooked regional market is a ripe candidate for other Jabbar assets such as Souq.com to expand in upon the success of CashU in Morocco, which we hope will be encouraged by the country’s recent internet connectivity enhancement and young tech savvy consumer base.